A free public lecture series which celebrates the lives of the Granite City's most influential residents will return today (Wednesday February). Dr Michael Brown, from the University of Aberdeen, will look at the life of the moral philosopher and poet, James Beattie. Organised by the University’s Research Institute of Scottish and Irish Studies and Aberdeen City Council Great Aberdonians commemorates the achievements of those who hail from the city. In the third of six lectures in the series, Dr Brown will outline the life of Beattie, one of the leading lights of the Scottish Enlightenment, who turned his hand to many genres of writing and reflection. A moralist and theorist of knowledge formation, Beattie was also an accomplished poet and literary critic. 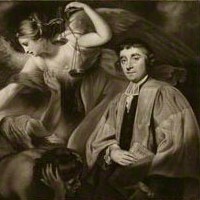 Associated with Aberdeen through his tenure in the Chair of Moral Philosophy at Marischal College from 1760 to 1803, he was also educated there and served as the master of Aberdeen Grammar School. He was a gifted teacher and member of the Aberdeen Philosophical Society and many of his papers are lodged in Special Collections at the University of Aberdeen. Dr Brown, a lecturer in history at the University, came up with the idea for a series of talks celebrating the lives of great Aberdonians after hearing a speech by the Lord Provost. “I heard the Lord Provost talk about the idea of a campaign for pride in the city at the annual ambassadors’ dinner,” he added. The lecture on ‘Professor James Beattie (1735-1803): Moral Philosopher and Poet’ will take place at 7.30pm on Wednesday February 1 in the Town and County Hall, Union Street, Aberdeen.